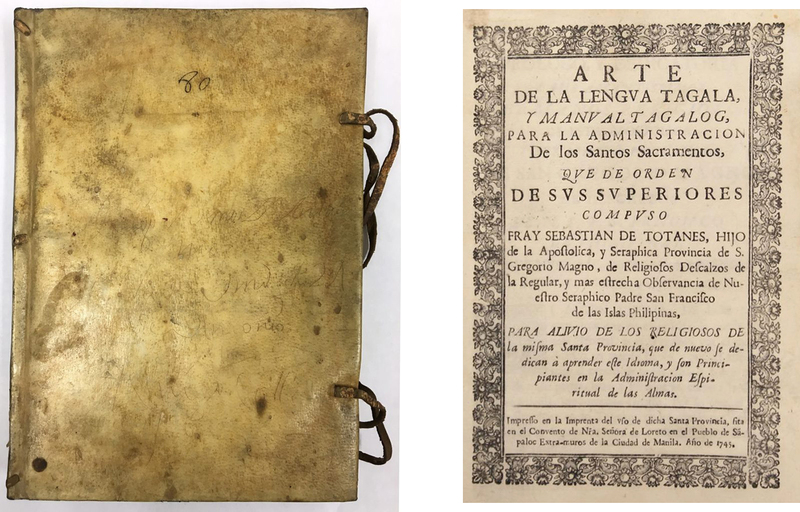 Sebastián de Totanes (1688-1748) published his grammar in Manila in 1745 after spending 30 years as a Franciscan missionary in the Philippines. 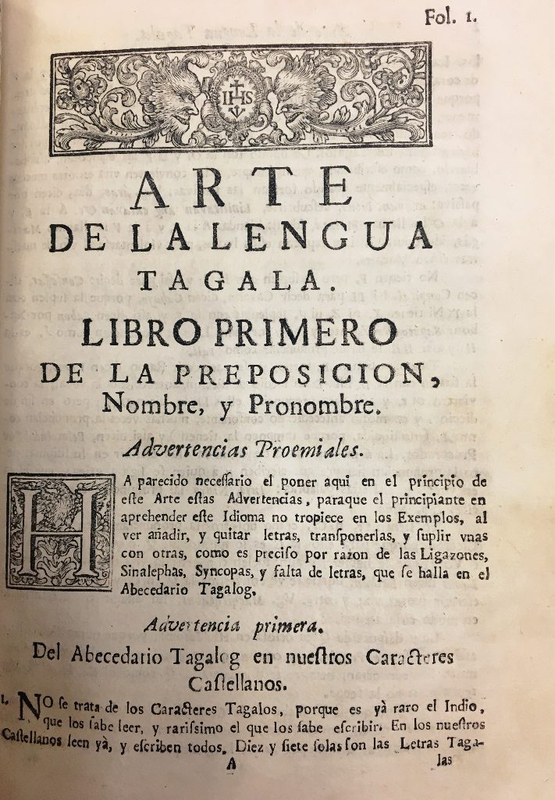 Language and empire went hand in hand in the Spanish colonies and the Spanish influence on the Tagalog language is apparent not only in what Totanes included in his grammar but also what he omitted. Excluded from the book is Tagalog’s native script known as baybayin, which Totanes references on the first page, “No se trata de los Caracteres Tagalos. (The Tagalog characters will not be treated here).” Baybayin is related to the Brahmic script and was widely used among the Tagalogs and other linguistic groups prior to Spanish colonization in 1521. Below is contemporary rendering of the baybayin alphasyllabary. Instead of using the indigenous script, Totanes transliterated Tagalog words into the Latin alphabet or, “Caracteres Castellanos,” as he calls them. Totanes was not alone in romanizing the Tagalog language. Spanish missionaries began rejecting baybayin as a written vernacular as early as the 16th century when they found the syllabary too complex and ambiguous for the purposes of missionary work. Totanes reveals the cultural impact of colonial script selection on the indigenous population, “…rare is the indio who knows how to read Tagalog characters and rarer still is the one who knows how to write them. All of them read and write our Castilian characters now” (the original Spanish can be read below). Despite the efforts of Spanish missionaries to replace the indigenous script, the use of baybayin never completely disappeared in the Philippines and survives to the present day.